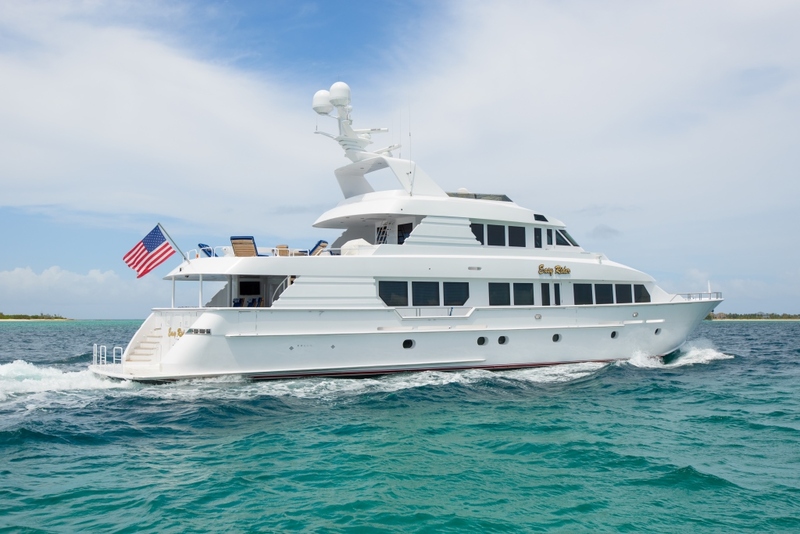 Luxury motor yacht EASY RIDER was delivered by the renowned American Shipyard Hatteras in 1997 and underwent an extensive refit in 2014. 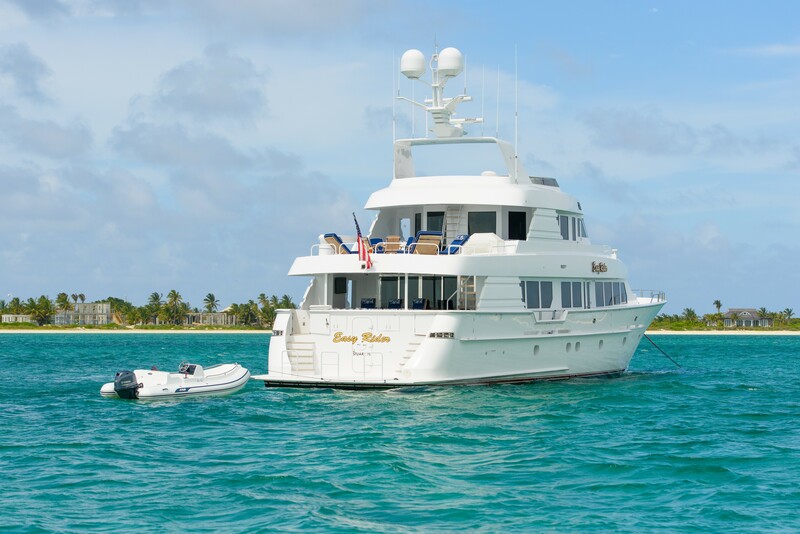 Measuring 35.36m (116ft), M/Y EASY RIDER is available in Florida and the Bahamas year round, offering 4 en-suite cabins, for up to 8 charter guests. 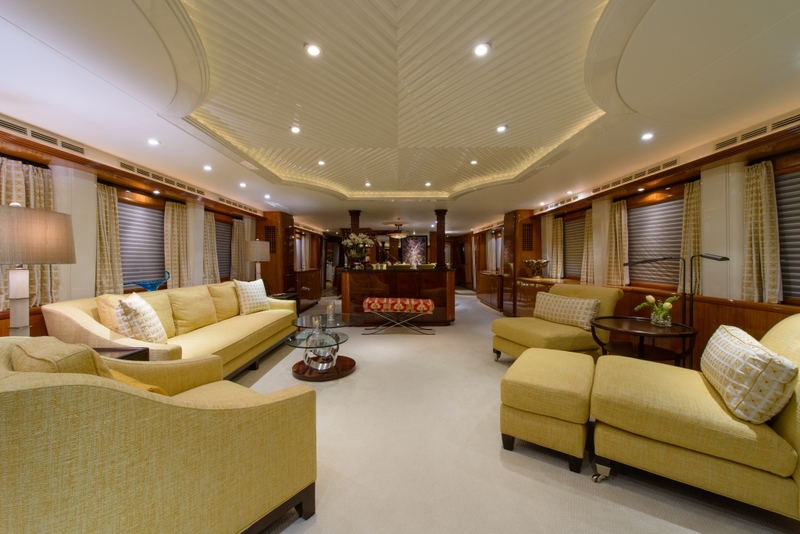 M/Y EASY RIDER’s interior décor is contemporary and timeless, featuring fresh light colours and warm woods throughout. 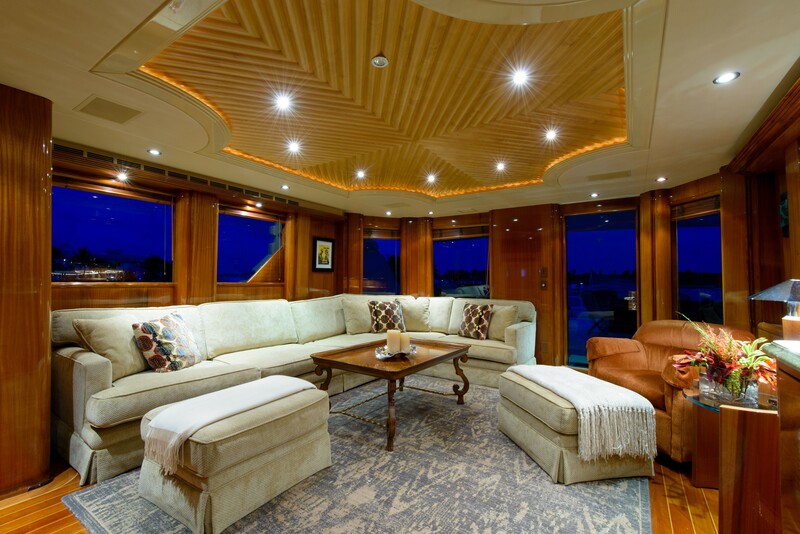 The generous salon is a fabulous social space or ideal relaxed area, with a sofa, occasional chairs, ottomans and coffee table. 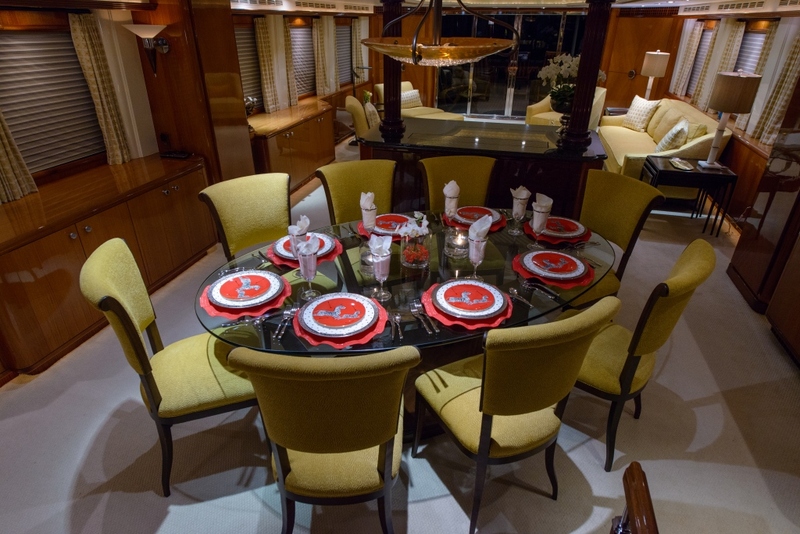 An island credenza gives a casual separation to the formal dining table forward, where 8 guests are effortlessly seated. 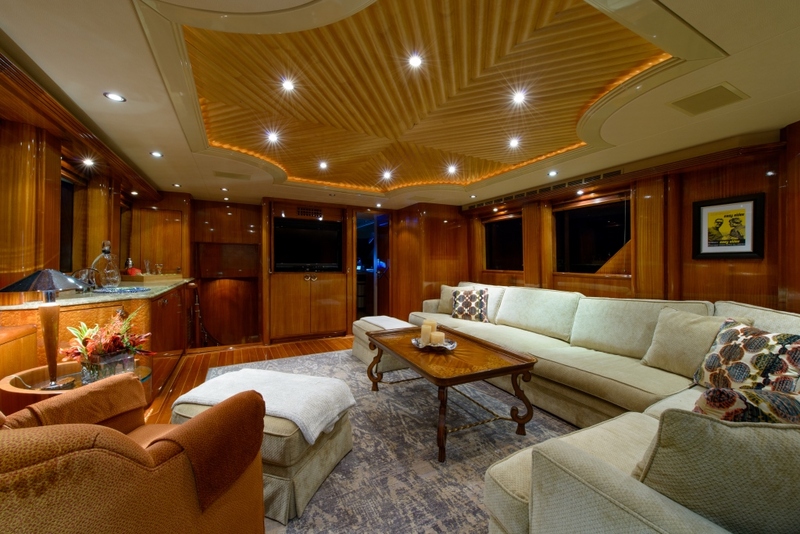 A staircase leads up to the skylounge, with TV entertainment, large L shaped sofa, occasional chairs, coffee table and complete wet bar. 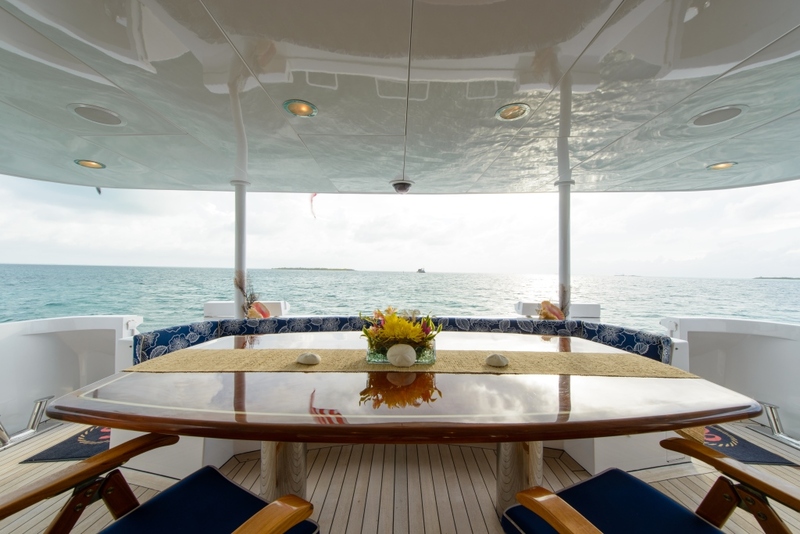 The salon and the skylounge receive ample natural light, thanks to panoramic windows. 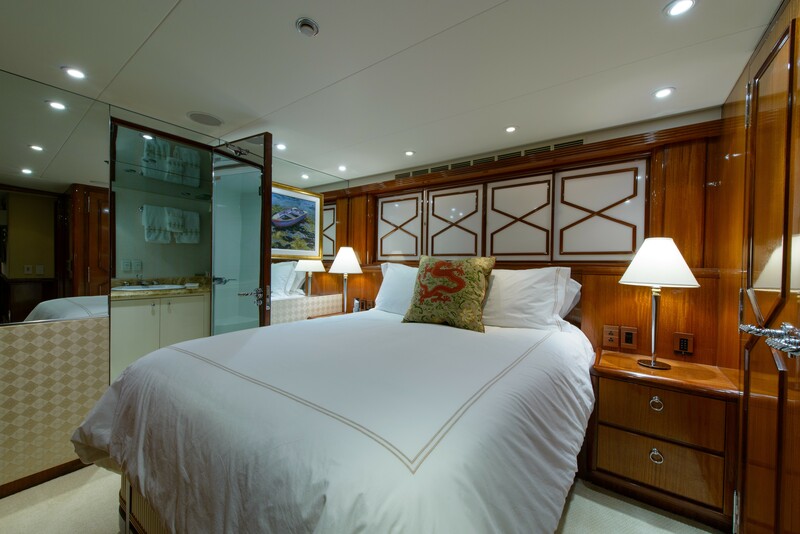 Below decks are 4 guest cabins, all with private en-suite facilities. 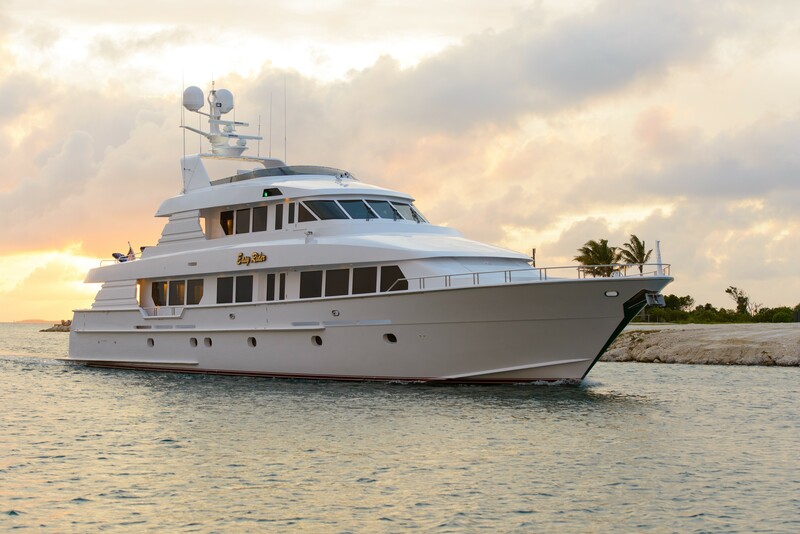 Exterior living is well-appointed aboard the crewed charter yacht EASY RIDER. 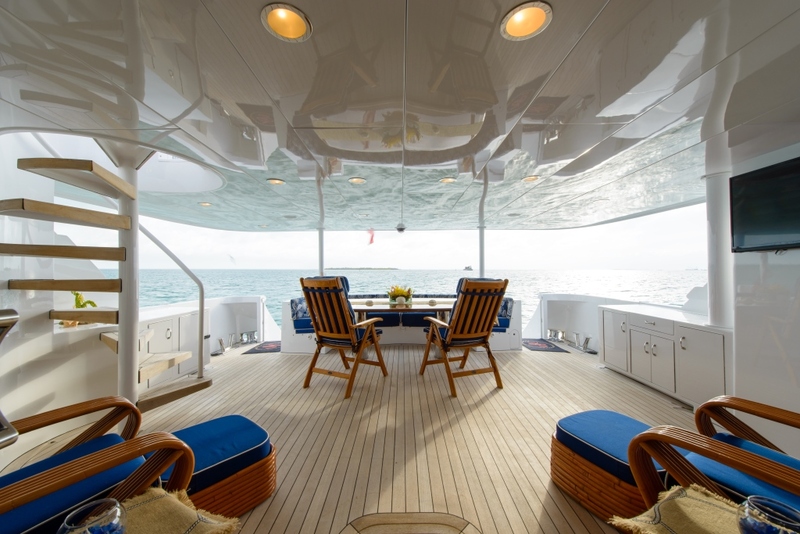 Aft of the salon, a shaded deck features reclining chaise loungers, built in seating and an alfresco dining option. 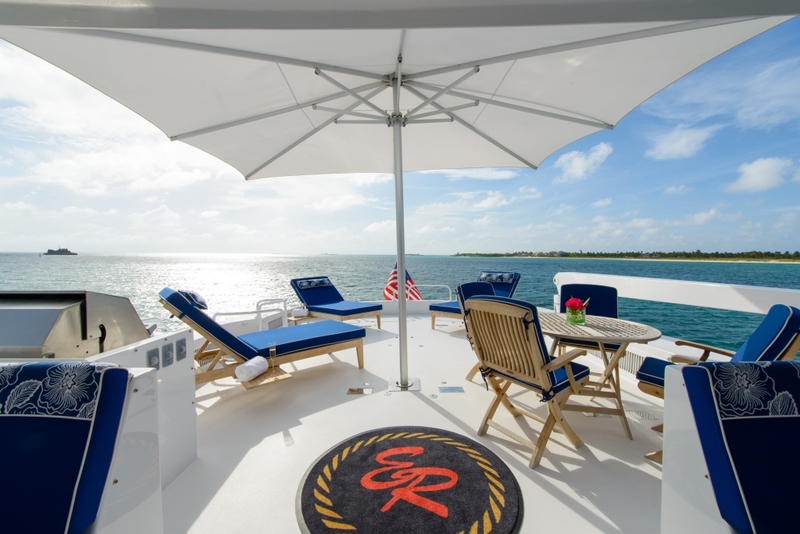 Adjacent to the skylounge is an additional aft deck, boasting seating, chaise lounges, removable shade and a BBQ service area. 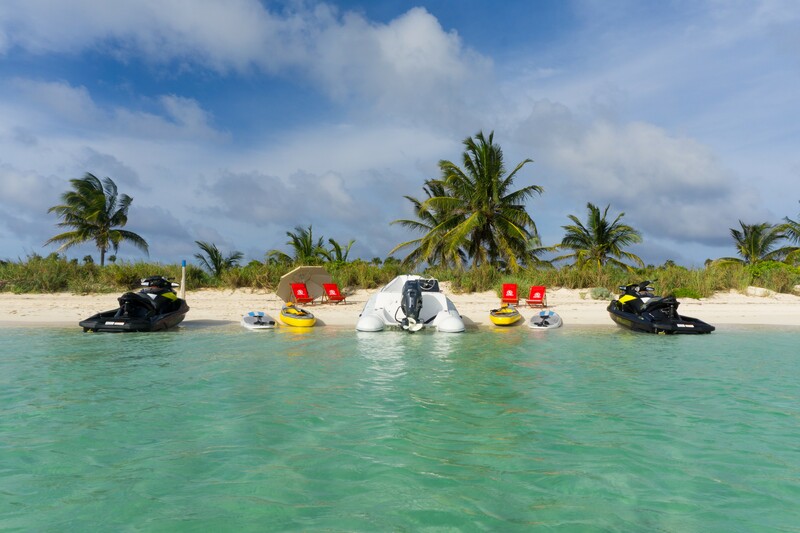 For the active in the group, the swim platform enables guests to enjoy the array of sea toys on offer with ease. 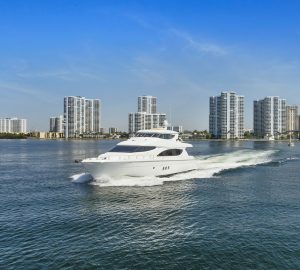 Powered by 2 x CAT 1350hp engines, the Hatteras built motor yacht EASY RIDER cruises at 14 knots, with top speeds of 17 knots. 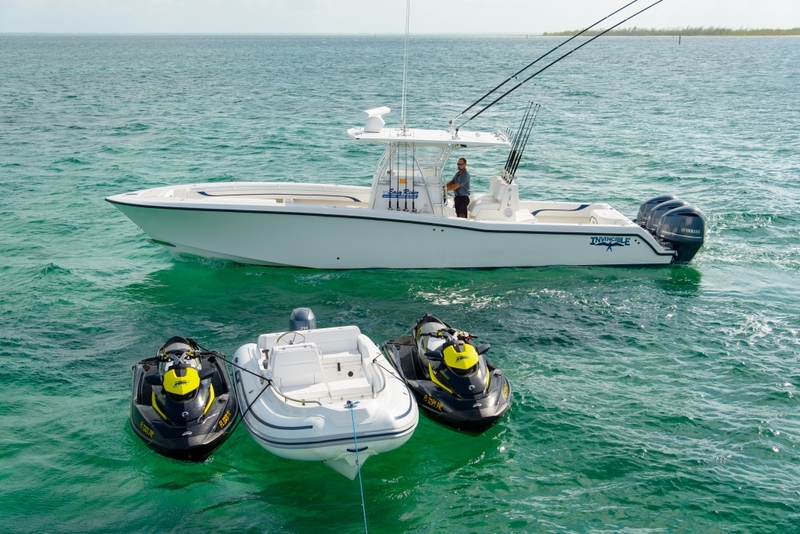 The yacht is fitted with underway stabilizers, ensuring a smooth charter experience. 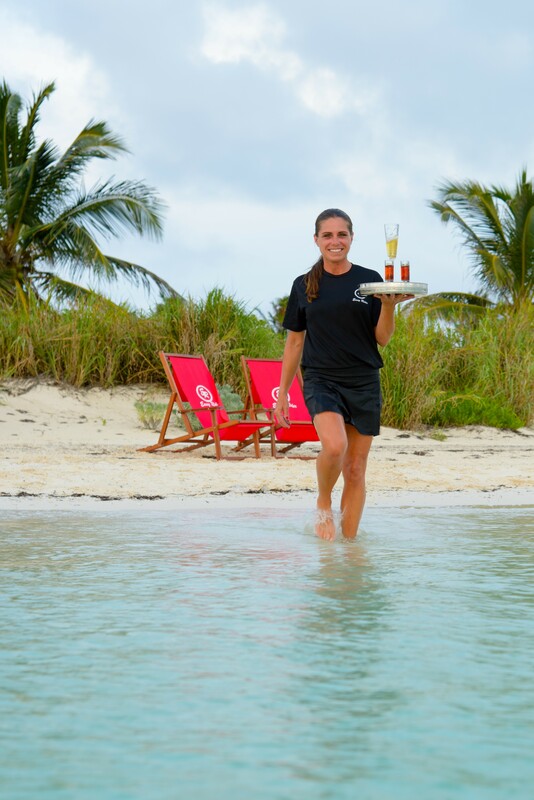 Luxury yacht EASY RIDER offers 3 generous guest cabins for 6 charter guests, each with private en-suite facilities. 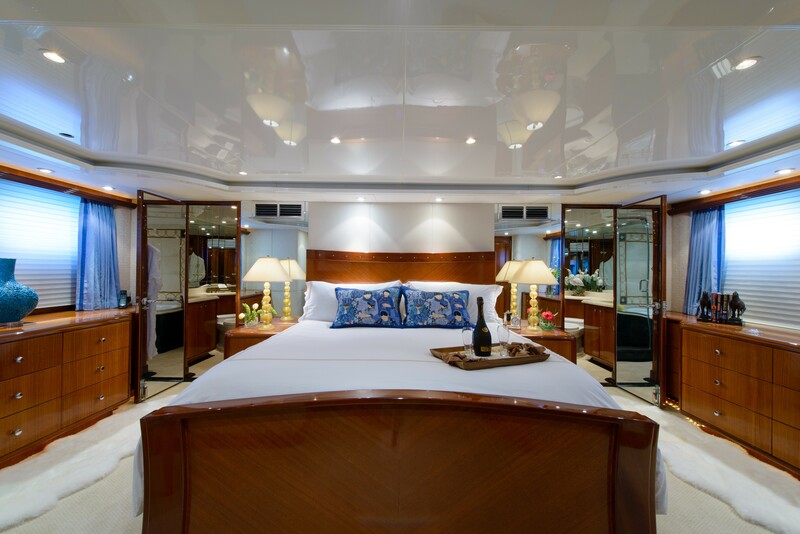 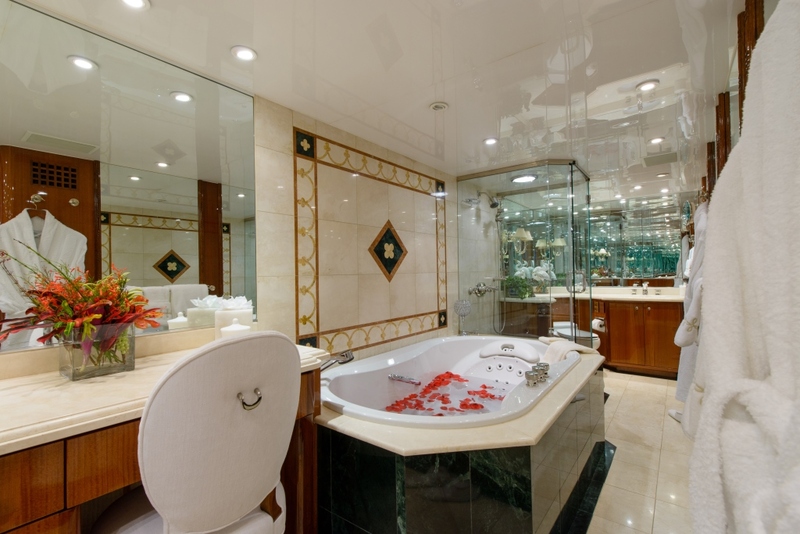 The master stateroom is full beam of the yacht, with a king size bed and his and hers facilities with Jacuzzi tub. Two guest cabins offer a queen size bed each. 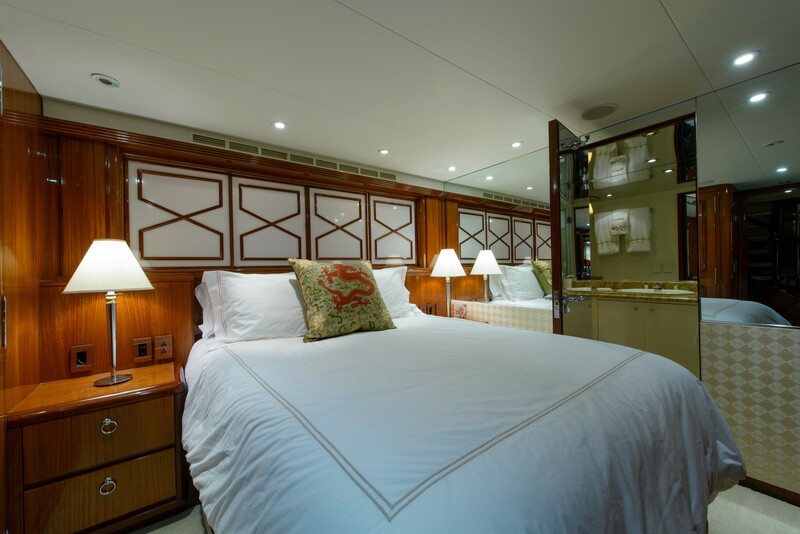 A further guest cabin has side by side single beds. 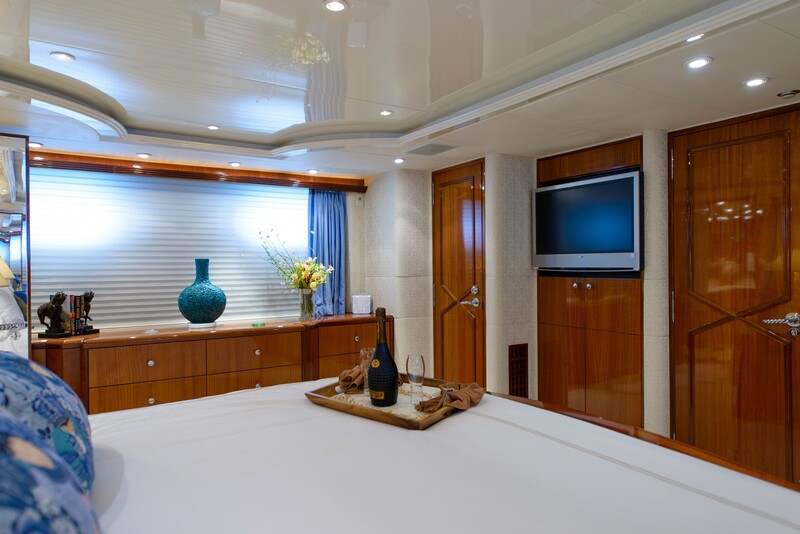 All 4 cabins are spacious and light, featuring a soothing and welcoming ambiance. 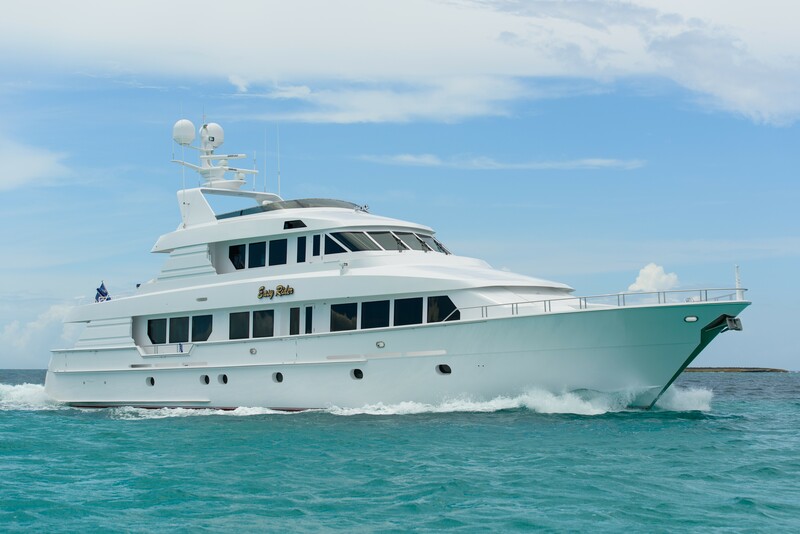 Please contact CharterWorld for a full list of extras and amenities available onboard the EASY RIDER motor yacht.